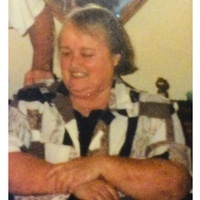 Miss Carolyn J. Clark of Winter Haven, Florida passed away Thursday, April 4, 2019 at the Consulate Rehabilitation Center in Winter Haven. She was born July 1, 1943 in Rochester, New York to the late Walter S. and Ethel M. (Herbison) Clark. She has been a resident of the area for 10 years coming from Oviedo, Florida. She was a Computer Tech for Lockheed Martin. Carolyn loved horses and had a drill team that performed. Survivors include her nieces Beverlee Lewis and husband Jimmy, Cathy Richard and their children. In lieu of flowers donations may be made to the Human Society in her name.